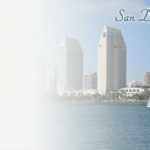 Welcome to our directory of San Diego Businesses for all local San Diego County businesses and attractions, savings and discounts from selected San Diego county Businesses. We are also a San Diego e-commerce directory for local online shopping information. Shop your city from home. Find information and businesses in San Diego, or list your business completely free! Hosting strategies, collaborative commerce, and other business-to-business topics, as related to the digital marketplace, will be listed. 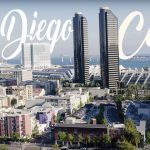 The San Diego Business Network is business and professional networking organization comprised of local service providers and businesses in San Diego, and the surrounding areas. each professional is committed to helping the city, providing top quality service, and growing their businesses through mutual referrals. We only allow 3 professionals per category per zip code (i.e. 3 real estate agents, 3 lenders, 3 graphic designers). All others are placed on a waiting list. We are the voice of local San Diego business who realize that true growth in our economy will not come from the simple printing of more money by the Government, but instead by the empowering and uniting of the small business. the San Diego Business Directory serves as the forum and platform to assist them in their desire to quickly grow their business through mutual referrals, education and alliance building. We create thousands of introductions, and referrals through our proprietary business networking software and facilitate the rapid expansion of local businesses in the Sandiegocounty and surrounding areas..
We help unite San diego and its people in their pursuit of mutual success and the betterment of the US economy at large. San Diego Dental Implant Center. 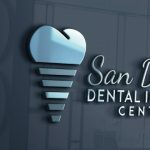 Looking for an implant dentist in San Diego, CA? Although there are many dentist that can perform dental implants, not all dentists are equal in their skills and service. We recommend you look for a specialist who mainly do dental implants and continuous training so they stay on the latest techniques and technology. You may not know this, but dentistry has changed a lot over the years as research and technology advance more rapidly. You want to make sure you get the latest and greatest for your oral health. If you’re looking for a trusted dental implant specialist, you’ve found the right place. Here, you’ll find dental professionals that specialize in dental implants around the San Diego, CA area. The Greater San Diego Business Association empowers and promotes Gay and Lesbian Businesses, professionals, and supportive members of the gay and lesbian community. The San Diego State University Foundation the County of San Diego Office of Trade & Business the San Diego Regional Technology Alliance Welcome to the San Diego, California Business Directory.